Ash is found all around Europe, including British Islands, North Africa and East Asia. It has a steady forest area and steady export too. The wood color is white pearled, that sometimes can become rosy. Ash structure is well defined by its clearly demarcated rings. Its grain texture is severely striped or patterned. Its unprocessed natural color is of a shining yellowish white. Ash wood is hard and steady and it has excellent resistance properties. The surface treatment requires a lot of technical expertise and knowledge. Due to this, Ash is among the favourite woods in furniture making. As for interiors decorations it is mainly used for large-surfaced walls and ceiling coverings, as well as for built-in furniture. Ash produces a clear veneer that allows dyed finishing successfully, reason why you will have an optimal and intriguing result. In this case, we have a dyed veneer, that cause a change in colour towards a clear and shiny tone throughout the whole veneer thickness. 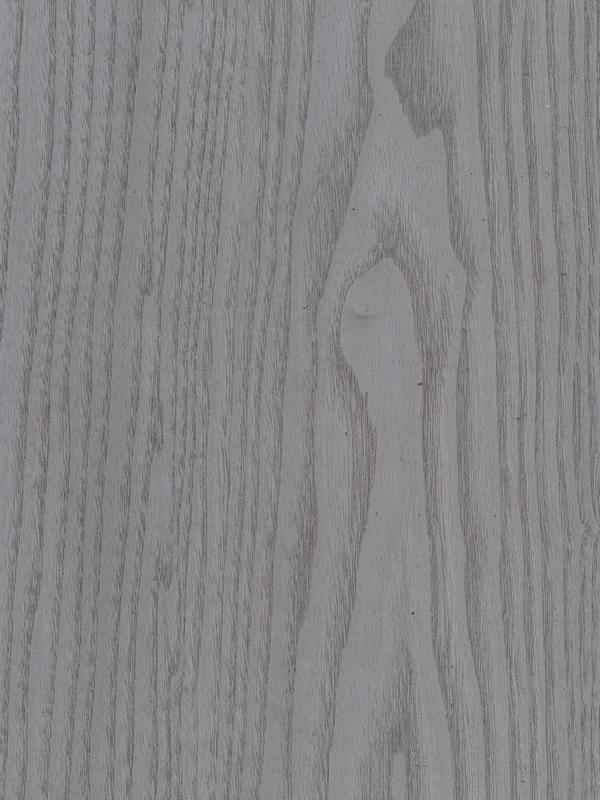 Ceniza tone (cinder) get a special mix between an aged or dyed veneer, with a kind of metallic shine that turns this material finishing into a peculiar way of understand wood look. The stripped veneer changes are more visible as a result of the dying process developed by ourselves, that increase this optic effect, that is why it is often used by designers or architect, getting a different aspect.